If you’re a crafter, th en the chances are the months running up to Christmas are a busy time for you. The fun starts around August, if not earlier, as you search for inspiration for something different. Well, look no further – this blog gives you some great ideas for here. Whether you want something to hang on your Christmas tree, or a gift or ornament idea to give to friends, there are plenty of ideas out there, so here are just a few. This Peyote stitch and a little bit of very basic Right Angle Weave. It’s suitable for anyone who already has a very basic knowledge of those techniques. Find the pattern here. If you’re after a slightly more challenging pattern, this gorgeous will also make a real statement on a tree. It includes some Swarovski sparkle in the centre and is made with size 11 delicas. If you enjoy geometric beading, then this could be just the project for you. It will take a few hours to complete and is made in Peyote stitch. 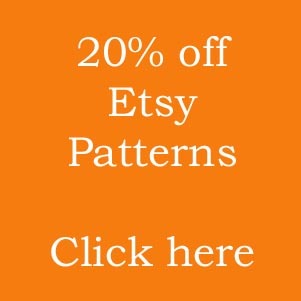 This pattern is suitable for anyone who is already happy working in Peyote stitch and you can find the pattern here. Moving up to some thing even more challenging, how would you like a beaded rocailles and round beads to add the decoration. This is suitable for more advanced beaders. The pattern is available here. If you would like a more religious take on this idea, then there is another variation, as a church, available here. 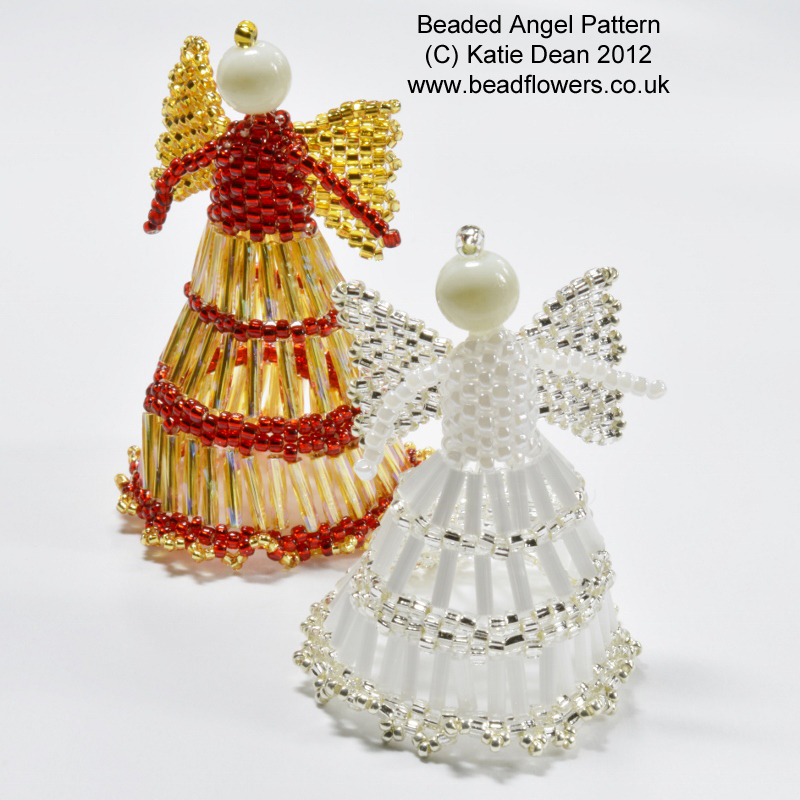 If you can’t resist a bit of fun Christmas jewellery, how about these little netting for this Christmas beading project, so this makes it a great place to start if you need a quick make or something with simple techniques. You can find the pattern here. 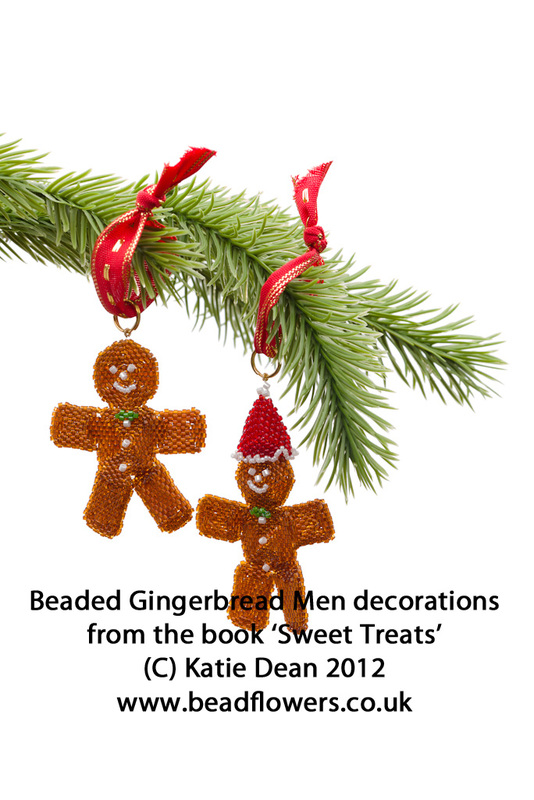 There are also some great Christmas beading projects in books. 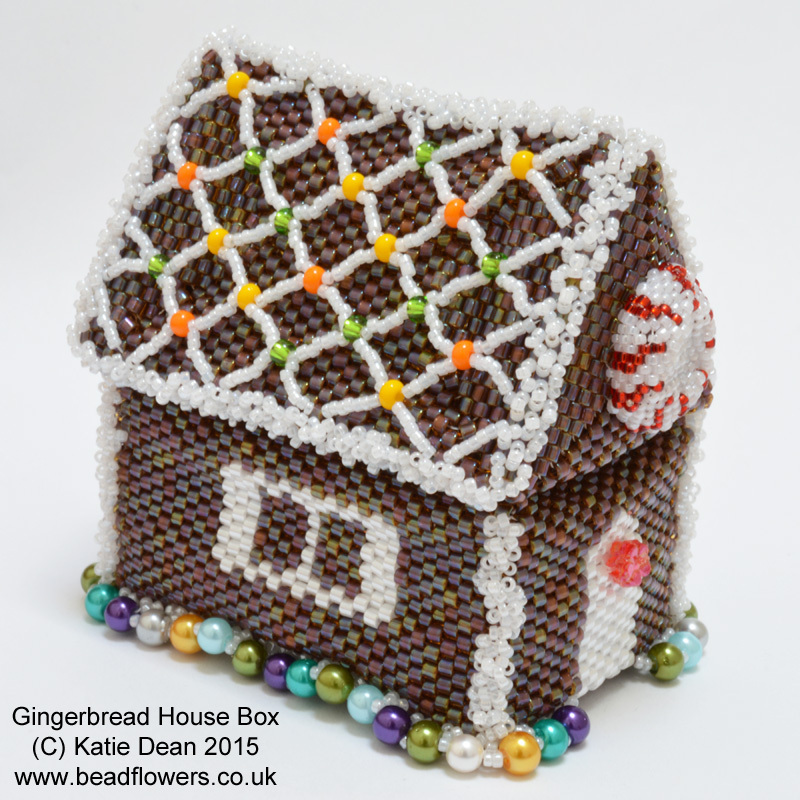 The series of three ‘Beaded Christmas’ books has nothing but Christmas beading projects inside. 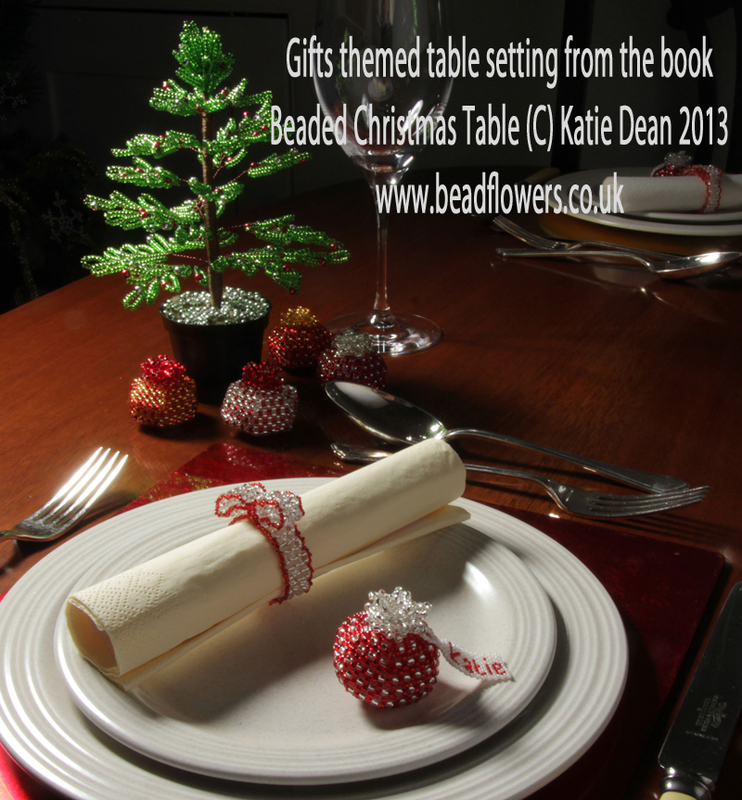 In volume 1, ‘ s to create three themed table settings for Christmas. If you like the seasonal plants and foliage, you can make a French Beaded poinsettia as a centrepiece for the table. 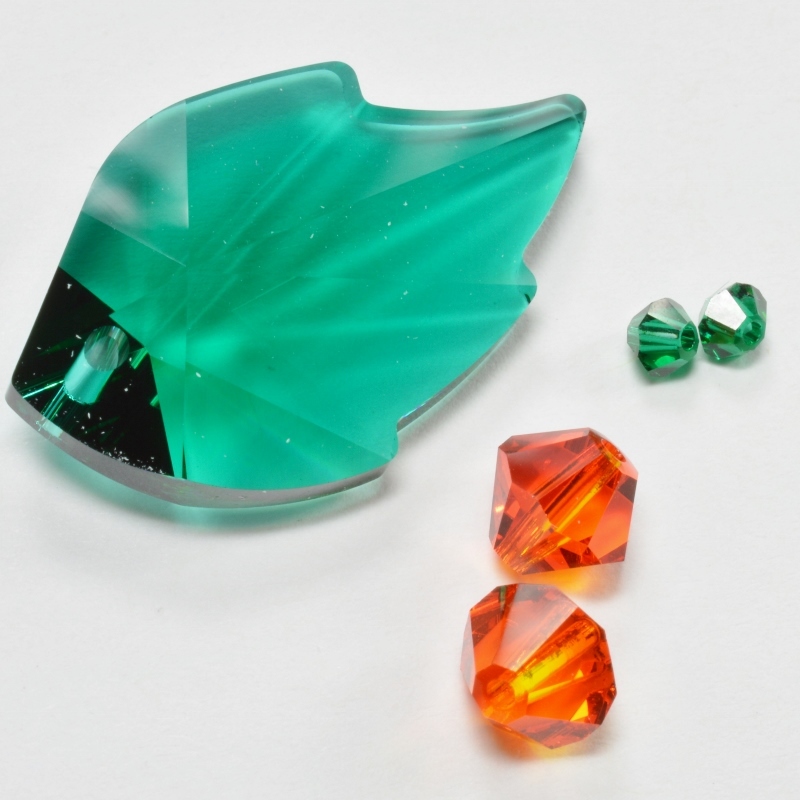 Combine this with ivy leaves on napkin rings and holly place-card holders. For a more elegant look, combine gold and silver stars scattered across the table, with crystal napkin rings and cracker shaped place-card holders. If you want something a little more quirky, then how about the Christmas tree centrepiece with bows for napkin rings and parcel place-card markers? The nine projects are all made using seed beads or crystals and they offer a wide variety of ability levels and techniques. Volume 2, ‘ udding or a stocking to hang on your Christmas tree. Decorate your home with candy canes, mistletoe, larger beaded crackers or a piece of bead embroidery on a stocking. As with the first book, the projects use a wide variety of techniques from bead-weaving to French beading, and cover all skill levels from beginner to advanced. 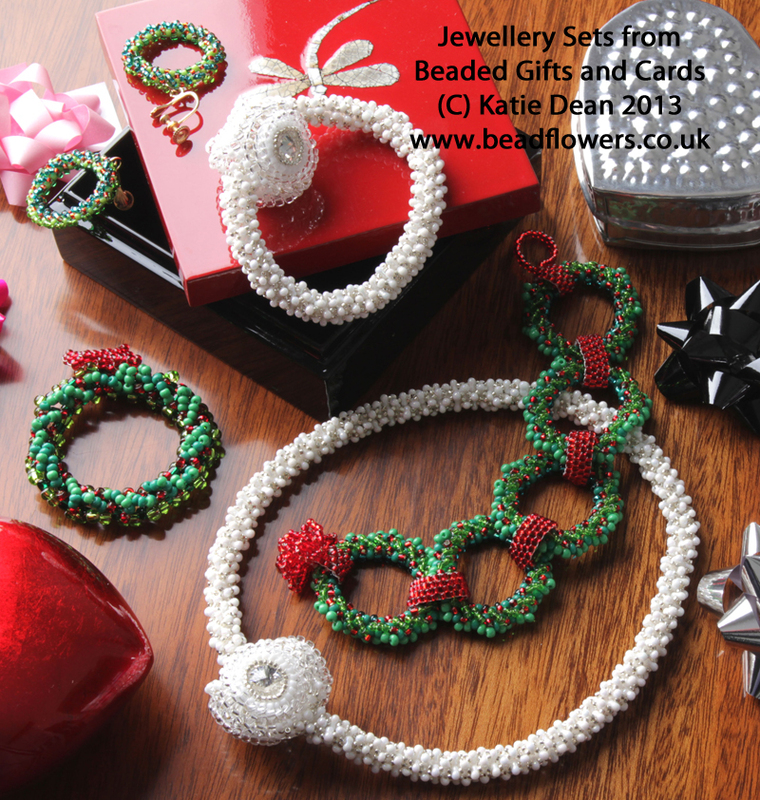 The last volume, ‘Beaded Gifts and Cards‘ offers patterns for making beaded ‘keepsake cards’ (a detachable beaded decoration to send on a hand-made card and then display as a tree decoration), two sets of jewellery, beaded cuff links and beaded pens for the ladies and men in your family. You can also make miniature advent candles and robins to attach to gift tags for special friends. 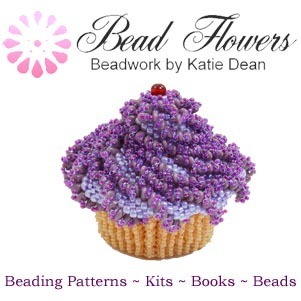 All three books include video demonstrations of all the beading techniques used in the projects. You can buy each book individually or save a huge amount of money by purchasing the entire set. 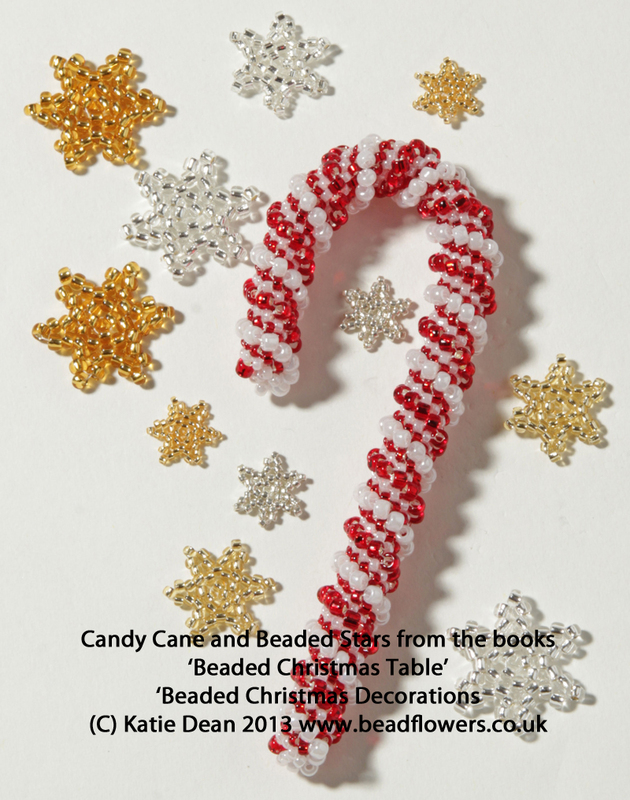 If you want a book that offers something beyond just Christmas beading pr ojects, then I have two titles that each include a Christmas project in amongst many other beading ideas. 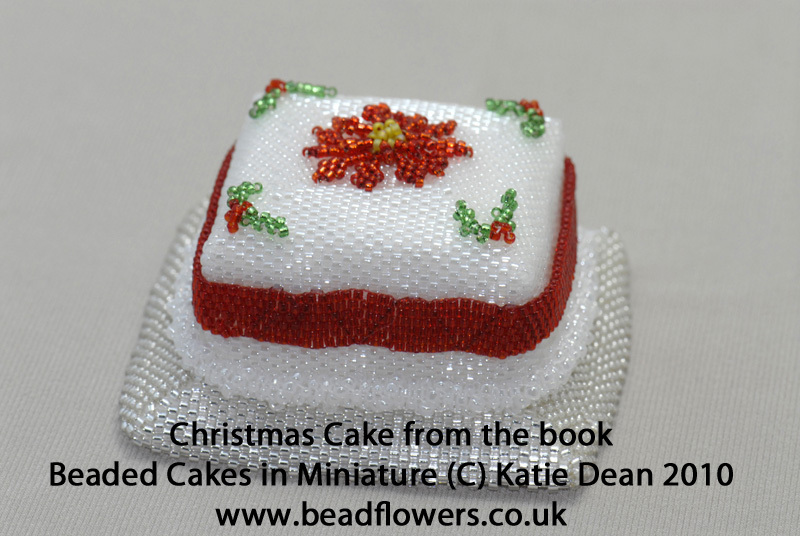 ‘Miniature Beaded Cakes‘ includes this cute little beaded Christmas cake. It’s the perfect gift to give to celebrate a special Christmas. 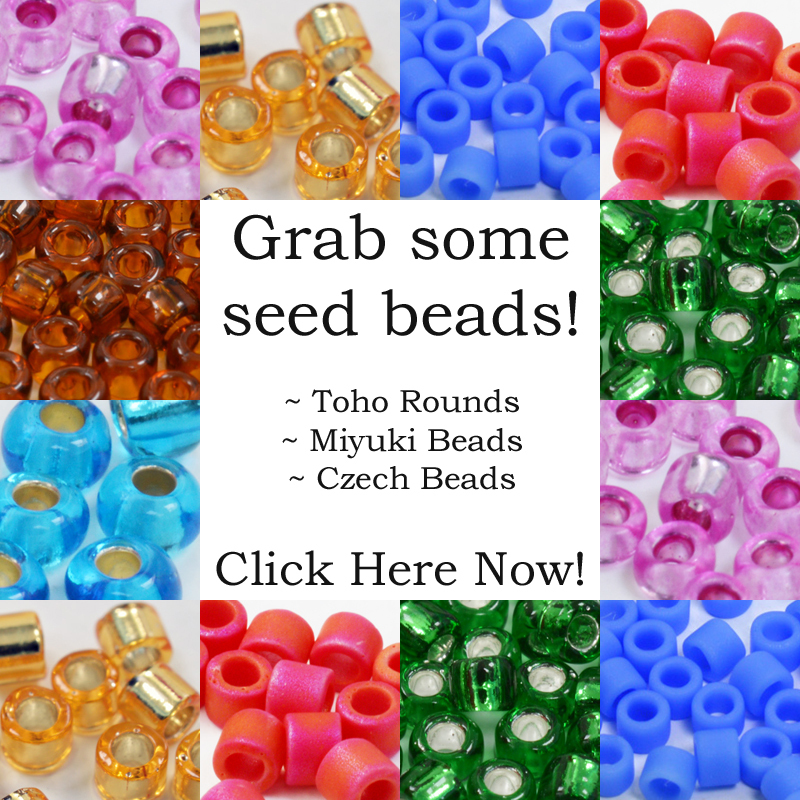 The project will take a few hours to make and uses delica beads. The book offers some ideas for alternative decoration as well. You will also find ideas for cakes to celebrate special occasions throughout the year. As with the beaded Christmas books, this ebook includes video demonstrations of the techniques you will be using, so it’s perfect whatever skill level you are. Keeping to th e food theme – after all Christmas is all about food isn’t it?! – the book, ‘ introductory chapter covering the basics of the materials and techniques you will be using. 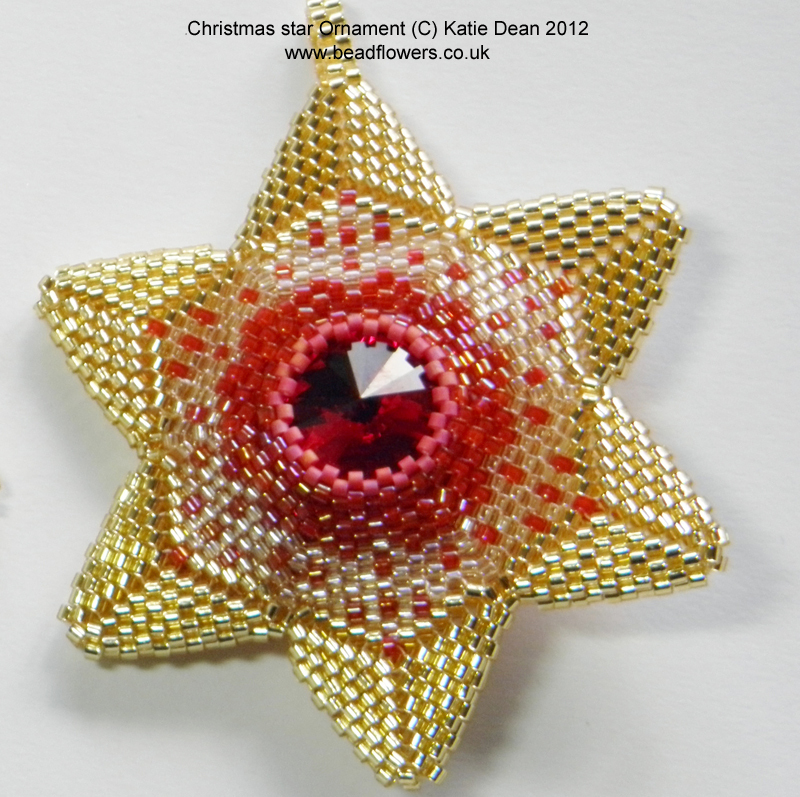 Both these projects are made in Peyote stitch and are suitable for intermediate level. 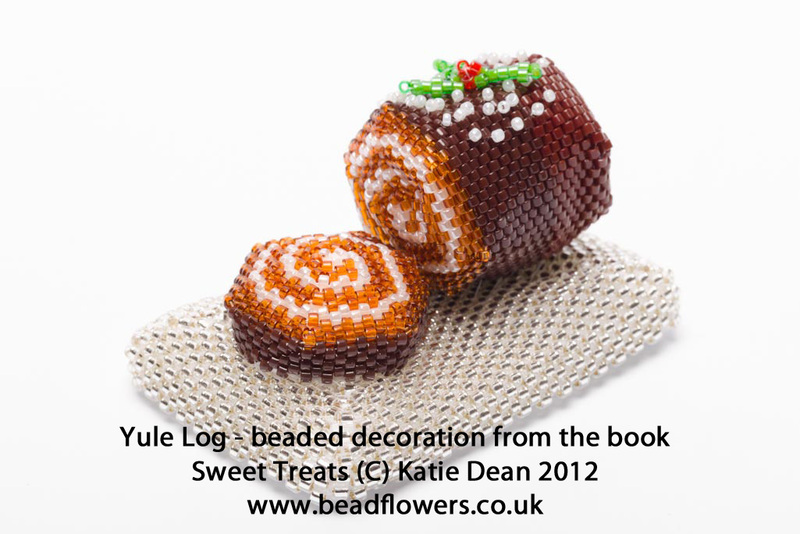 For the rest of the year, you will find plenty of fun treats to make as little beaded gifts or jewellery. 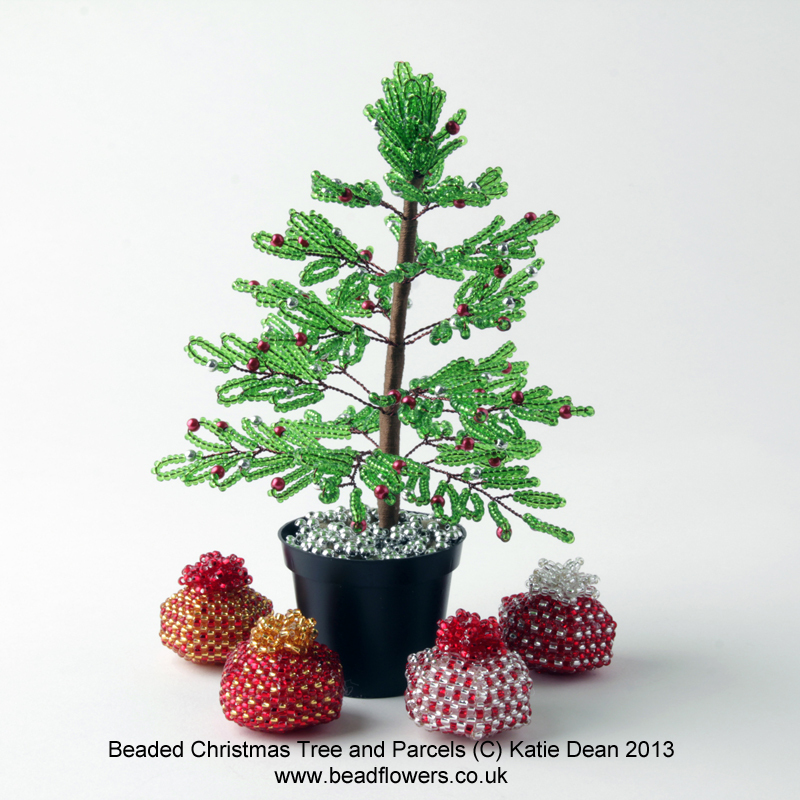 If you have someone very special in your life, then why not bead them a Christmas card? You can find lots of design ideas in my book, ‘Keepsake Cards‘. These aren’t just for Christmas – you also get ideas for plenty of other special occasions. It’s all very well buying patterns and books. They give you a great lasting legacy, something you can bring out again and again, but sometimes you need a quick fix. 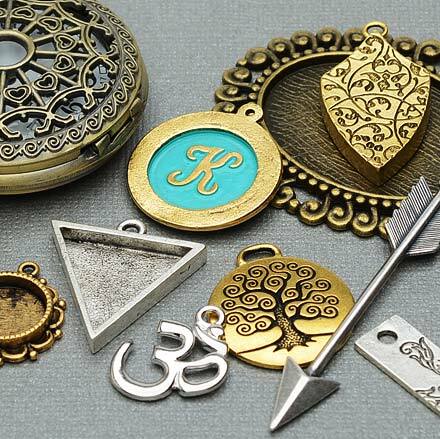 So, if you want a kit that you can quickly turnaround, you can find a few options here. Some of them are limited edition though, so take care you don’t miss out! 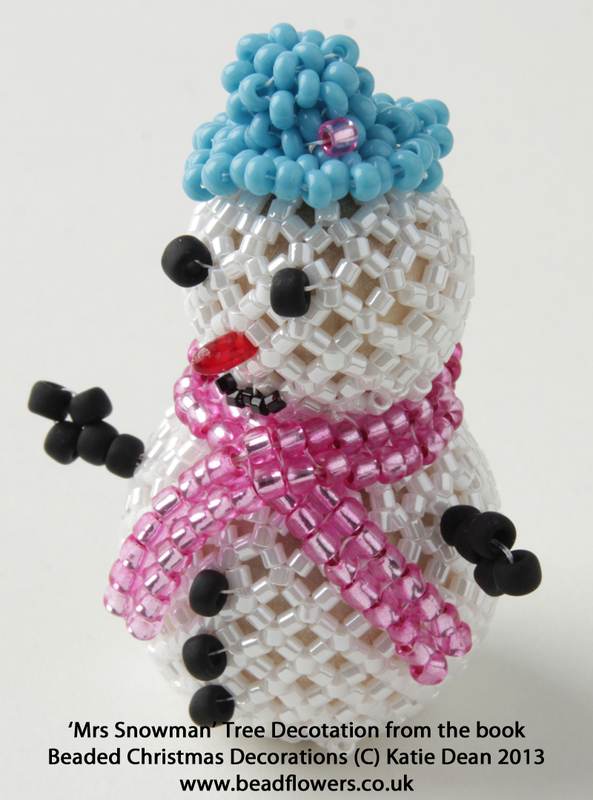 For a page that is full of all kinds of different Christmas beading projects, just check out this website here. Hi Katie, as a Christmas gift i received the Nativity Beaded Box Figures. At the end of the Patern it states “Don’t forget to check back on my website for the animal and stable paterns too”. I checked, but could not find them. Are they already available or are you still in the design phase?. 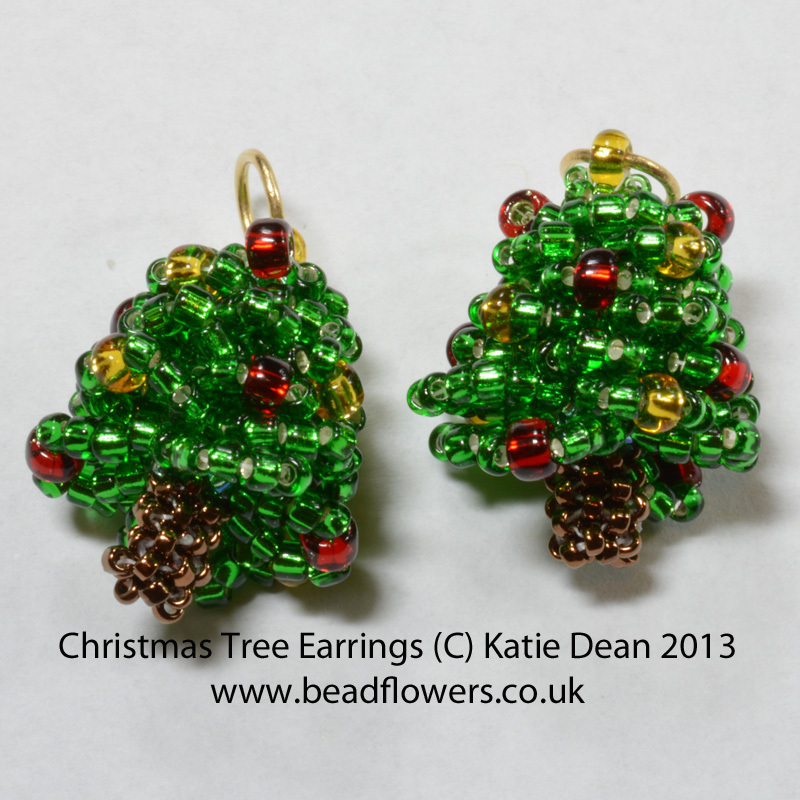 I would like to have the paterns complete before i will start on a complete beaded Christmas stable. Please give me some reply on this. Thanks and best regards. I hope that helps. Just let me know if you have any other questions.